For most women of all physicians gynecologist, takes a special place. Well, if the whole woman's life is accompanied by the same doctor who knows all the peculiarities of his patient. But to find a gynecologist is able to conscientiously perform their duties, sometimes takes a lot of time. 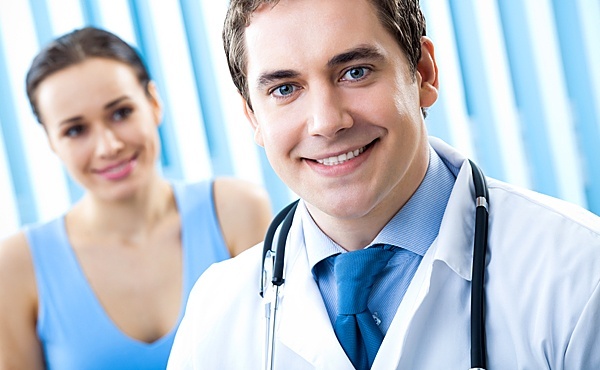 The first integral rule in finding the best gynecologist is professionalism. Of course, like any other doctor, the gynecologist needs to learn and get a diploma in obstetrics and gynecology. Specialist also had to pass an internship in the field in which to work. Indicator of the level of knowledge will be continued participation on training courses. Best gynecologist will never make premature predictions. He will present the patient with all treatment options. Tell in detail about each of them and tell you what the treatment method will be most effective. Distrust or even hostility to the doctor can make sure that the visit will be a real meal. A gynecologist is the specialist, the credibility of which must be unconditional. Even if the doctor is "God" and the best gynecologist in town, it is not necessary to go to him if it causes resentment. Better to find a specialist who will be professional and create a trusting relationship with the patient. If from visiting the gynecologist to receive the discomfort, the patient sometimes can't tell all the details about a particular issue. And then the treatment will not be at the proper level. So quiet as at a reception at the gynecologist will make it possible to cure health problems. The Internet is often replete with customized feedback about the doctors. Yes, a certain amount of truthful feedback about the gynecologists there, but there are also reviews created by employees clinics. So the credibility of the search of gynecologist in the Internet is very weak. Another thing is "word of mouth". After all, friends often admire, if their doctor showed "miracles of medicine". And you can be sure that such reviews are not bogus. This way you can find best gynecologist not only in private clinics, but in usual female consultation. In addition to these indicators, there is still a lot of criteria when selecting the best gynecologist. For example, a good specialist will never be in a hurry. He will carefully examine, revealing all the nuances of a particular female body. Gynecologist should be tactful. At the reception, it needs to discuss in detail the entire treatment plan, identifying all the possible outcomes.